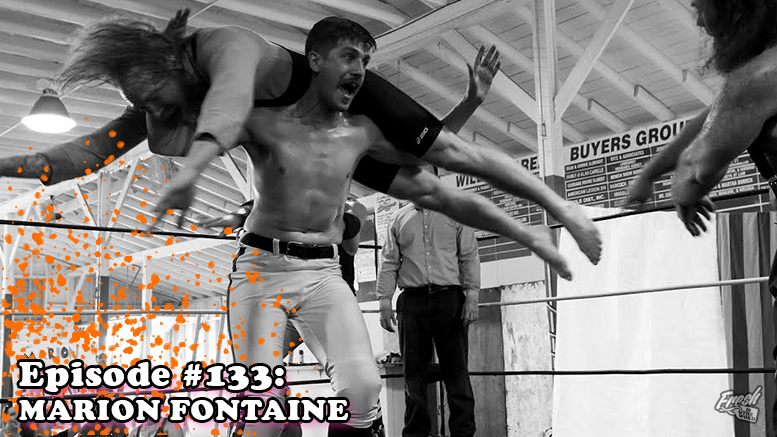 On this episode, we hit the time machine and take back to the early 20th century with our guest Marion Fontaine, pro wrestler and owner of the vintage-themed wrestling promotion out of Norwalk, Ohio, Olde Wrestling. 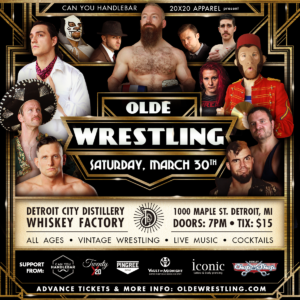 This promotion is more than just a wrestling event, as the fans and the performers alike step back in time for a fun-filled family friendly show that also includes a ringmaster, ragtime band, newsies, carnival style exhibits, and more old timey entertainment. 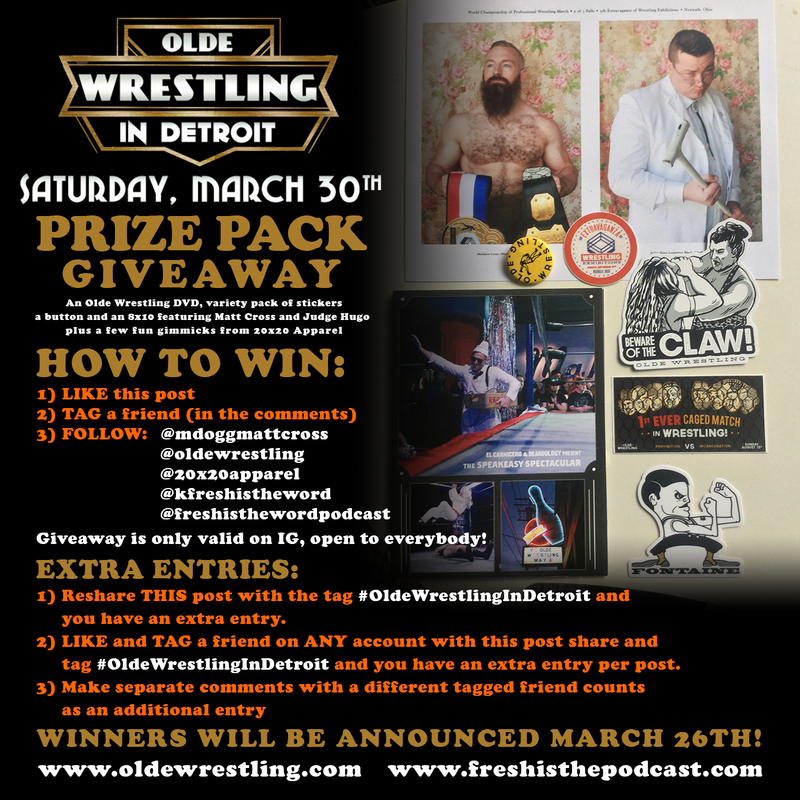 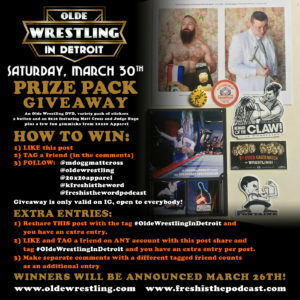 Olde Wrestling is coming to Detroit on March 30th at the Detroit City Distillery – Whiskey Factory and during our chat, Marion Fontaine talked about the beginnings of the vintage-styled promotion, how they gained popularity, keeping an authenticity to the show, what to expect at an Olde Wrestling show, some of his favorite old timey gimmicks over the years, and his own career as a wrestler.